"I'll do whatever it takes to complete my mission." 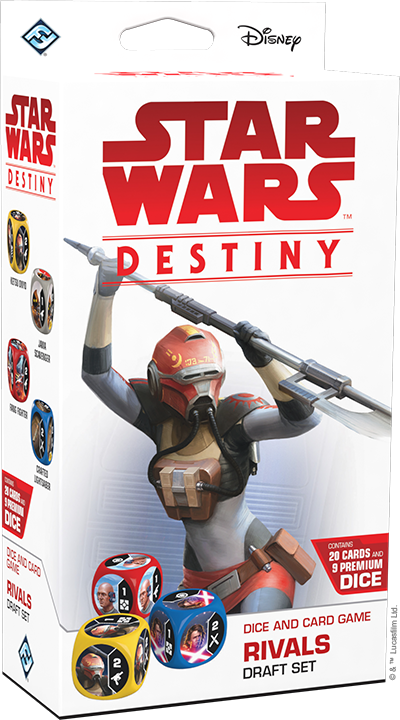 The Rivals Draft Set for Star Wars™: Destiny arrives at retailers on February 15th. That means you'll soon have your chance to play Destiny like a Star Wars mercenary—assembling whatever crew you can to complete your mission and defeat your rivals! Better yet, the product's release also heralds the arrival of the Rivals Limited Event, in which you can hunt for the bounties from our Rivals Draft Kit. Each kit supports two eight-player tournaments. Attend a Rivals Limited Event, and you won't just get the cards you pull from your draft or sealed packs—you'll also walk away with a selection of extended art versions of cards from the Draft Set. And since your fixed-distribution Rivals Draft Set is reusable for any number of draft or sealed events, you'll also be able to show off these stunning cards during those events in place of the copies included in the set. Don't miss out on your chance to enjoy a whole new Destiny experience. 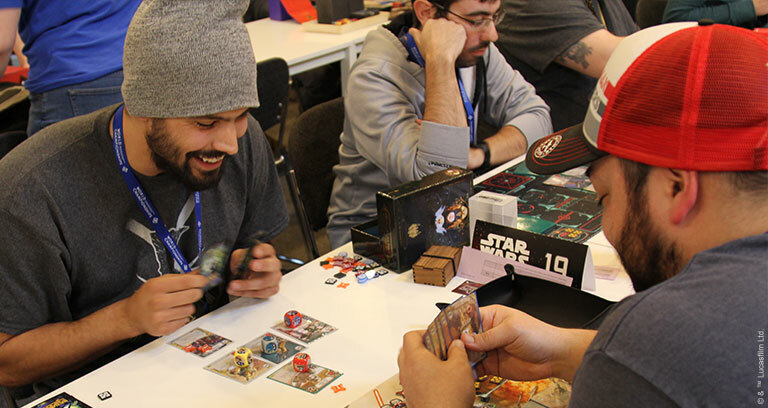 Make your plans to attend a Rivals Limited Event and test your skills in the game's new draft and sealed formats! Whether you enjoy your Rivals Limited Event in a draft or sealed format, the new Rivals Draft Set is certain to provide the core of your deck. More than that, its cards are bound to make their mark in competitive play, even outside of these limited formats. Cards like Tinker (Rivals, 9), Targeting Computer (Rivals, 7), Crafted Lightsaber (Rivals, 6), and Vibrosword (Rivals Draft Set, 17) are bound to show up in a wide range of creative decks—and you'll almost certainly see them in action during any Rivals Limited Event. You'll also have your chance to win them as prizes—with extended art and Aurebesh text. Each Rivals Draft Kit supports two three-round draft or sealed tournaments of up to 8 players each. 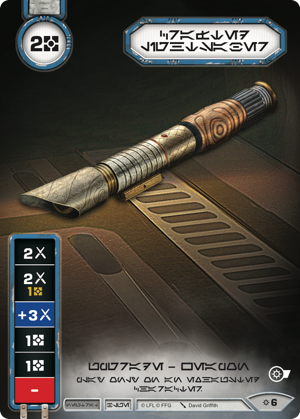 Participation: At the end of a Rivals Limited Event tournament, each player who completed all three rounds earns an extended art, Aurebesh version of Tinker and Crafted Lightsaber. A zero-cost event with the ability to turn any of your dice to a side showing a value of one, Tinker is a great card to have in hand when you need a final point of damage to finish off your opponent's character, or when you're sitting on a string of modified damage dice and just need a single unmodified result to trigger them. Crafted Lightsaber, meanwhile, offers a fantastic array of dice symbols for just two resources, and it can play on characters of any color, transforming them instantly into melee powerhouses. 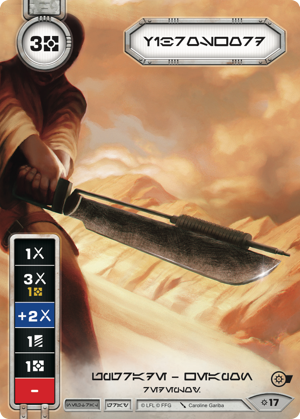 Two or More Victories: Win two or more games during your Rivals Limited Event, and you'll earn a copy of the extended art, Aurebesh Targeting Computer. 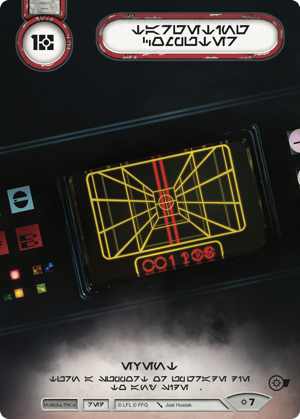 At a cost of one resource, this neutral event won't go into every deck… but in a deck running massive supports like the AT-ST (Awakenings, 5) or LR1K Sonic Cannon (Empire at War, 46), the Targeting Computer may be just the bit of tech you need to ensure massive damage, especially if you're backing it up with events like Salvo (Spirit of Rebellion, 121). Three Victories: In a tournament capped at an eight-player maximum, only a single player can go undefeated. If that player is you, you'll earn an extended art copy of the neutral Vibrosword, a melee weapon equipped with the rare and valuable Redeploy keyword. Thanks to its Redeploy keyword, the Vibrosword stands a good chance of becoming one of the game's most consistent and effective sources of melee damage—this because it doesn't have to leave play with its bearer. Another one of your characters can simply pick it up and continue making good use of its three different damage sides. Draft or Sealed? Or Both? One of the great things about the Rivals Draft Set is that its cards are all fixed, meaning that a single copy of the Draft Set can serve as the foundation of multiple draft and sealed events. This, of course, leads to the question—should you participate in a draft tournament or a sealed one? Fortunately, since the Rivals Draft Kit supports two separate tournaments, you might not have to choose between the two. But each event type has its own advantages. In a draft, you and the other players each bring six boosters to a table, open three of them, and combine the cards into a single stack. Set the dice aside. Then pick a single card from the stack before passing the remainder to the player on your left. You will be handed a new stack by the player on your right. Take a card from the stack you were just handed, and continue passing the stack. After all of these stacks have been depleted, you and your opponents then open the next three boosters, combine the cards into new stacks, select your cards, and pass the stacks to the right. Once all the cards have been selected, you collect all matching dice and build a deck of twenty to thirty cards from the cards and dice you've drafted, plus the cards and dice from the Rivals Draft Set. 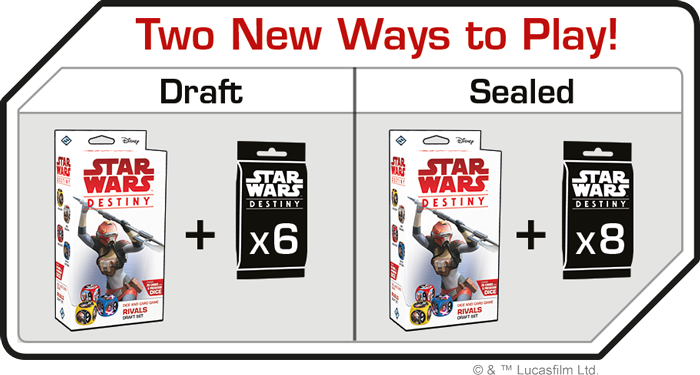 In a sealed event, you bring your Rivals Draft Set and eight sealed boosters. From these materials, you then build your deck of twenty to thirty cards. 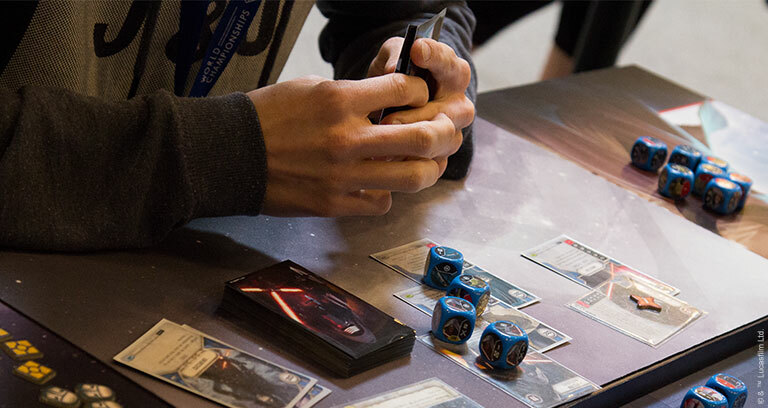 Notably, the rules for deck building in draft and sealed events vary from normal constructed play in a few significant ways. Draft and sealed decks do not have to be thirty cards. You can play with decks of any size from twenty to thirty cards. Draft and sealed decks can make use of both hero and villain cards in the same deck. You can include any number of copies of a given card in your draft or sealed deck. If you manage to draft five copies of Ataru Strike (Legacies, 101), you could choose to put them all in your shield-driven melee deck! Along with the challenges that accompany playing a deck built from an extremely limited pool of resources, these deck building rules guarantee that the Rivals Limited Event is bound to provide you a new experience of all that Destiny has to offer! Pick up new cards. Enjoy new gaming experiences. Earn cool prizes. Whether you're new to Destiny or a grizzled old Clone Wars veteran, the Rivals Limited Event is your chance to indulge your mercenary instincts—load up your deck with all the best gear, blur the lines of morality, and do your best to claim the bounty. Talk to your local retailer, and make your plans to attend a Rivals Limited Event. The action begins with the release of the Rivals Draft Set on February 15th!